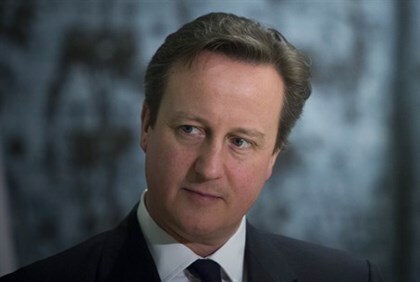 Britain is to step up police patrols in areas with high Jewish populations, Prime Minister David Cameron said Friday, while warning that it was impossible to provide “100 percent protection”. The move came in the wake of last week’s Islamist attacks in Paris, as well as a foiled plot in Belgium on Thursday, reports AFP. As security for police officers was also tightened, Cameron warned that all Britons should be “incredibly vigilant” in an interview with Channel 4 during a visit to Washington DC. “These steps were taken because of what happened in Paris and because of the situation that we face generally,” Cameron said. Jewish security charity the Community Security Trust welcomed the move, saying it had received an “unprecedented” number of calls from British Jews following the attacks in France. “People are acutely aware that what happened in Paris could happen here,” said the charity’s director of communications, Mark Gardner. Britain’s terrorism threat level is currently set at severe, the second highest of five levels, mainly in response to threats from Al-Qaeda and Islamic State (ISIS) jihadists. This means that a terrorist attack is thought to be highly likely. Even before the terrorist attacks in Paris, anti-Semitism in Britain has taken a turn for the worse in recent months. This was particularly felt during Israel’s Operation Protective Edge in Gaza last summer, with thousands taking part in anti-Israel protests. Those demonstrations have included pro-Palestinian Arab rioters vandalizing a Birmingham Tesco store out of rage over a refusal to boycott Israeli products. In a similar incident, hundreds of demonstrators rioted outside the Kedem store in Manchester, in a series of clashes which culminated in dozens of death threats being hurled at the store’s owners. This week, a new poll found that almost half of British Jewish people fear they have no long-term future in Britain or Europe. ← Sweden’s foreign minister, Margot Wallstrom, said on Friday that Israel had overreacted to her country’s recognition of “Palestine”, and that it had irritated close allies with its reaction.